Recently a friend and I uncovered the secret to a jaw-droppingly delicious burger. This glorious masterpiece came to be after I poured way too much brown sugar into the caramelized onions and mushrooms. While the mixture its self tasted more like candy than anything else, when paired with our spicy barbeque sauce, pretzel bun, Red Dragon cheese and fried egg, the super sweet onions were the perfect compliment to all that salt and spice. 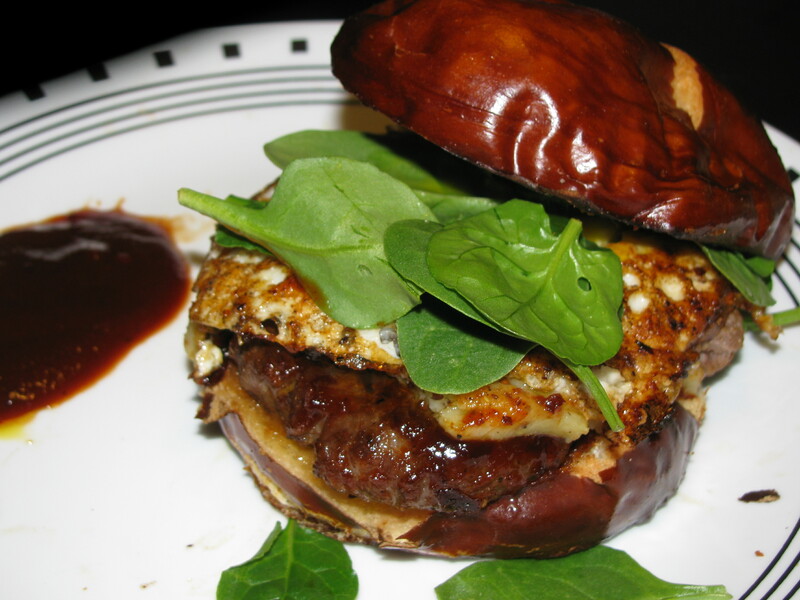 The Red Dragon cheese was something we found randomly at Whole Foods and added a whole new dimension of flavor to the burgers. It’s a cow’s milk cheese with mustard seeds and ale, great on burgers and on its own. One of the best burgers I've ever eaten in my life. Here is the recipe for a fantastic burger— maybe the best you ever had. Cook the patties on a grill (we used a George Foreman) and once they are almost finished, slather some bbq sauce on both sides and place a big slice of cheese on each patty. Once the cheese has melted, add the toppings and FEAST. Once the onions are translucent, add the mushrooms and let them sweat over low heat. Stir occasionally. Add salt and pepper to taste — but don’t add to much salt. The secret to the burgers are the overly sweet caramelized onions. While digging through pictures in my camera, I uncovered pictures from one of my favorite places in Chicago. Xoco. Xoco is Rick Bayless’ take on traditional Mexican street food, offering Tortas, Caldos and ridiculously good churros and soft serve. I’m not really sure how to describe Xoco other than mind-blowingly epic. Yes, I am aware ‘blowingly’ is not a word. But that is just how good the food at Xoco is. My usual dish at Xoco is the Ahogada— pork carnitas, pickled onions, a spicy chile sauce, black beans served on crunchy bread and baked in a wood burning oven. The best part of the Ahogada, though, is the spicy tomato broth you dip the sandwich in. It will change your life. But the last time I went to Xoco, I fell in love with a new dish– Pork Belly Torta with a dark salsa negra glaze, bacon, arugula and queso anejo. This torta is definitely my new favorite but is unfortunately, only available on Wednesdays. My friend ordered a slightly healthier, meal-in-a-bowl Vegetable and Black Bean Caldos. It’s served in a piping hot bowl with Woodland mushrooms, zucchini, potato-masa dumplings, black bean broth, greens, avacado, serrano chile. Also amazing. In high school, after watching an episode of Good Eats, I became obsessed with making jam but stopped, for obvious reasons, when I got to college. Two weeks ago, with two pounds of ripe strawberries, I decided to pay homage to my favorite Food Network chef, Alton Brown, by making fresh strawberry jam! Even though it’s been almost four years, the jam turned out even better than expected! And the best part? Strawberries are naturally high in pectin, a key gelling agent in making jam, so I only needed three ingredients–strawberries, sugar and lemons. 2. Place a plate in the freezer. Once your jam mixture begins to foam (approximately 10-15 minutes in), start testing your jam by placing a little bit of it on the plate. If it turns into gel, your jam is done! Test about every 5 minutes or so. 3. Germs are a big concern when it comes to making jam. So make sure you properly sanitize everything you use to make it. Boil your jars in hot boiling water for a couple of minutes before you use them. 4. While it can be tempting to eat your jam immediately, let it cool for at least 2-3 hours before eating. This will give it time to develop the perfect consistency–otherwise you’ll end up with a delicious strawberry sauce. 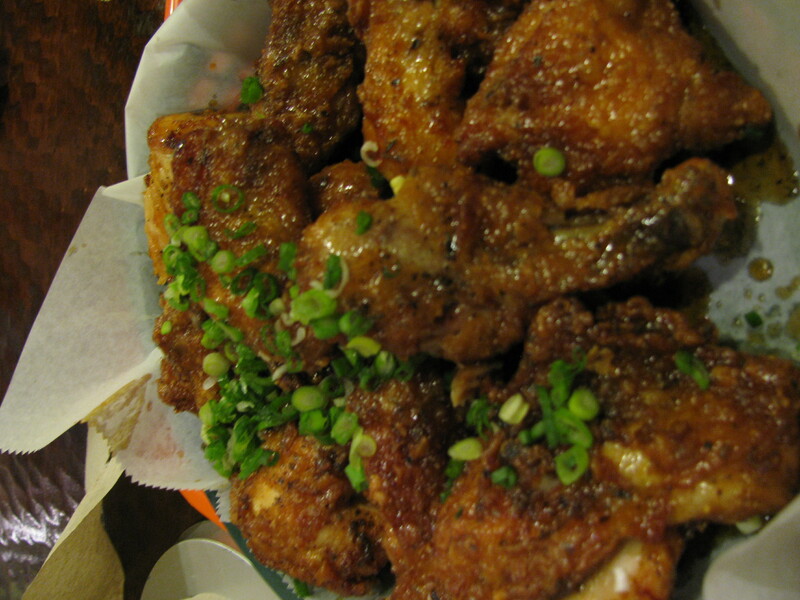 Wings at Crisp. Life does not get any better than this. Check out my article about eight of my favorite places to eat in Chicago, all under $15! Limes are one of my favorite foods. Yes food. It’s become such an important part of my life that rarely a day goes by when I don’t consume a lime. I put it in everything: water, dessert, on rice, chicken and sometimes even in my yogurt. I attribute this obsession with the first dessert I ever made — a delicious key lime pie that my friends and I demolished in an hour. Since then, every spring, I find every excuse to make my favorite dessert. It’s a recipe I’ve perfected after several years and today, I’m sharing it online! Press crumbs evenly and firmly into bottom of prepared pan. About a month ago, I took a spring break trip to China with my mom. This was my fourth time going back to the motherland but the first time I was truly able to appreciate the rich culture and history associated with China. It was also the first time I went somewhere within the country, other than Beijing and Henan. During the first week, I took a tour of Shanghai, WuXi, Hang Zhou, Sou Zhou and NanJing. Because China is so big, each city felt like an entirely different country–the only similarity being the massive amounts of people everywhere and the great food. Last weekend, I adventured out to Wicker Park with a few friends. It was a gorgeous day and after walking around for a couple of hours, we ended up a cozy beer garden called Northside. We all ordered a Great Lakes Dopplerock (delicious!). Naturally, I also ordered and proceeded to demolish a bacon burger with a fried egg on a pretzel bun. Since our food was delayed for almost an hour, the waitress offered us some chips and guac, FREE SHOTS, and dessert–all on the house. The food was decent, but the atmosphere made the night even more enjoyable–especially the music–one of the perks of being in Hipsterville. No top 40, just great indie bands like Arcade Fire, Band of Horses and Freelance Whales. Free food, free alcohol and four hours to just relax with friends–a pretty sweet deal. Unfortunately, we ate so much we didn’t make it to iCream! But that just means I’ll have to make another trip soon.